The ocean contains a complex combination of physical, chemical, biological, and geological processes that sometimes result in commercially viable forms of a wide range of minerals. This is particularly true in the deep ocean at areas around hydrothermal vents where hot, chemical-rich fluids pouring up from beneath the seafloor produce potentially valuable deposits. A few efforts to mine deposits on the seafloor have succeeded, but to date, not many have overcome the technical challenges involved in retrieving large amounts of material from the deep ocean. Some successful mining has already occurred in relatively shallow waters less than 200 meters. In the 1960s, Marine Diamond Corp. recovered nearly 1 million carats from the coast of Namibia. Today, de Beers obtains a significant portion of its total diamond production from the continental shelf of southern Africa. Mining operations in deeper waters have led to a very different results: When investors tried about 40 years ago to retrieve potato-sized manganese nodules scattered on the ocean floor, almost half a billion dollars worth of prospecting couldn’t make their efforts profitable. Since then, the mining industry has been hard at work developing specialized dredgers, pumps, crawlers, drills, platforms, cutters and corers, many of them robotic and all designed to work in the harsh conditions of the deep ocean. In addition, increases in the price of many materials such as copper, plus increasing demand from emerging economies is making such ventures more economically feasible. Recent discoveries of rich deposits on the seafloor and advances in technology are generating renewed interest in seafloor mining, including more diamonds, iron sands, cobalt-rich manganese crusts, phosphorite nodules and even those problematic manganese nodules. The rising importance and increasing scarcity of rare earth elements is also making some take a new look at the possibility of refining these materials from seafloor sources. 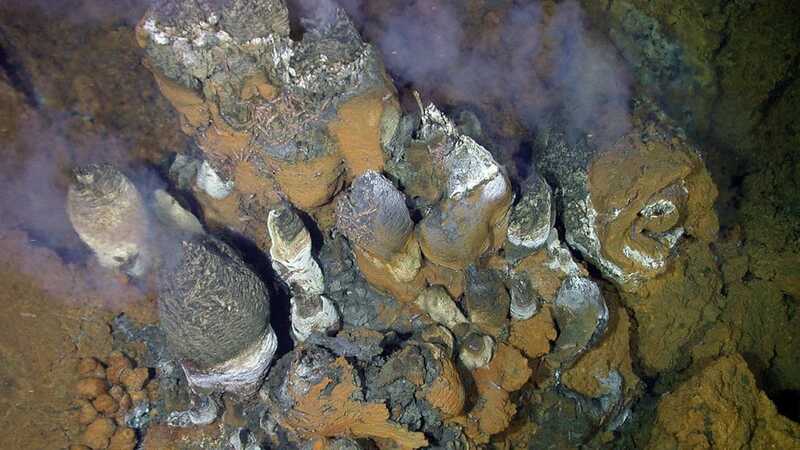 Most attractive of all for the mining industry are the potential riches at deep-sea hydrothermal vents. Known for nourishing lush communities of exotic life, the vents also can be treasure troves of high-grade minerals. When the very hot, chemical-rich fluids that spout or seep from the vents meet the cold water of the ocean, dissolved minerals solidify from the fluids and billow into the water or fall onto the seafloor or build up into massive chimney-like structures. These chimneys appear to billow black or white “smoke” depending on the chemical makeup of the fluids. Many sulfide deposits on land likely were formed the same way and were later were raised above sea level during the formation of islands and continents over millions of years. The island of Cyprus, for example, holds 30 massive sulfide deposits, which were a main source of copper for ancient Rome. For a number of reasons, the mining industry’s interest in seafloor massive sulfides is focusing mostly on vent fields in the western South Pacific. Many of the vent fields are located within the exclusive economic zones of small island nations, eliminating the potential complications of mining the seabed that lies under international waters. Many hundreds of thousands of square kilometers of the region’s seafloor have been leased for exploration and mining could begin as early as 2019 off the coast of Papua New Guinea. Seafloor mining has the potential to help meet demand for many minerals used worldwide and could help bolster the economies of developing nations in one of two ways. The mining could take place in a nation’s own exclusive economic zone, or it could take place on the seafloor under international waters, where the International Seabed Authority dictates that a portion of all mining profits benefit developing nations. 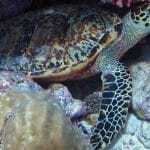 However, seafloor mining also has the potential to take a toll on the life in the sea. Anytime the seafloor is disturbed, so too are its fragile ecosystems—though the mining industry maintains that it is using and developing environmentally sensitive techniques, and many ocean habitats often appear to recover from damage. At the same time, the interest in mining is helping scientists study both the oceans’ chemistry and clues about how the planet formed. Biologists are particularly concerned about the potential for mining to disrupt or destroy unique communities of exotic life forms, such as those at hydrothermal vents and seamounts. 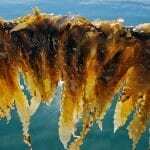 The result could be the subsea equivalent of replacing an old-growth forest with a field of dandelions. On the other hand, animals similar to those that originally inhabited the vent site could eventually return. Too little research has been conducted to know for sure. The argument for protecting species is the same as that on land—diversity is at the heart of functioning ecosystems; it helps life adapt to changing conditions. No two vents discharge exactly the same mixes of fluids, so no two vents are colonized by exactly the same life forms. Researchers continue to find new vent species just about every time they look for more. What each deep-sea vent ecosystem has in common are conditions that would be incredibly hostile to most other life: extremes of temperature, intense ocean pressure, hot acidic fluids. Yet they foster rich communities, including extraordinary microbes that harness energy from chemicals rather than from sunlight as plants do. These strange life forms may hold clues to how life started on Earth. So little is known about them that if vents are mined, we may never know what species have been lost. Environmental advocates are also concerned about the safety of whole systems planned for recovering the minerals--including boats, barges, and heavy equipment that could accidentally pollute local waters and shorelines with fuels, other industrial chemicals and oxidizing ores. One effort to combat this possibility was led by the industry-led International Marine Minerals Society, which in 2010 implemented a voluntary code for environmental management. Should we mine the deep ocean?